With her book “Iron Legacy: Childhood Trauma and Adult Transformation,” the author is set to join the highly-anticipated Los Angeles Times Festival of Books. This book provides full up-to-date information, clear-eyed encouragement, practical help, and many other compelling stories that will provide understanding and healing from one’s childhood trauma. Through her own experiences of abuse and years of clinical work and research, Dr. Donna Bevan-Lee reaches out to many readers and show them that there is hope for those who went through a tough childhood like her. She narrates her own stories in order to shed a life to the reality of abuse and trauma that is still rampant nowadays. 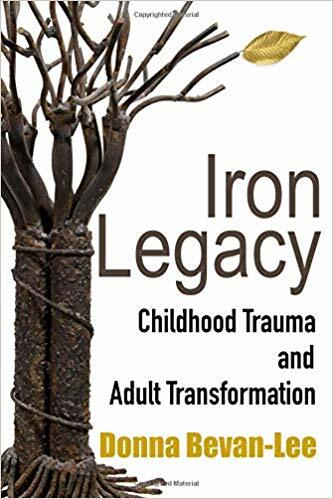 As she courageously shares her incredible journey in her book, “Iron Legacy: Childhood Trauma and Adult Transformation,” she hopes to help out other survivors of abuse in their own path to healing. It’s a poignant read that will truly capture the hearts of those who went through the same struggles as her and other readers who have the heart to reach out to others who are working to find healing in their lives. In this book, she also talks about The Legacy Workshop and provides full up-to-date information, clear-eyed encouragement, practical help, and many other compelling stories that will provide understanding and healing from one’s childhood trauma. Dr. Bevan-Lee is more than ready to meet her readers and other book fairgoers during her book signing event at the Los Angeles Times Festival of Books. She is scheduled to sign copies and get to know her readers on (April 14, 2019 @ 2:00-3:00 PM) at the University of Southern California along with many other activities on this sought-after literary celebration. Don’t miss it! Donna Bevan-Lee, Ph.D. is a Seattle Psychotherapist known for her pioneering work with survivors of childhood trauma. From her own experiences of abuse and decades of clinical work, she understands resilience deeply and has spent her life helping others develop it. Her flagship program, the Legacy Workshop, helps survivors understand their histories and discharge emotions rooted in them. An avid trekker, she recently completed the John Muir Trail.